New University of Tennessee at Chattanooga football coach Rusty Wright isn't about to downplay how important his first spring practice is with the Mocs, saying of the workouts: "It's huge. It's going to set the tone for how we do things from here on out." 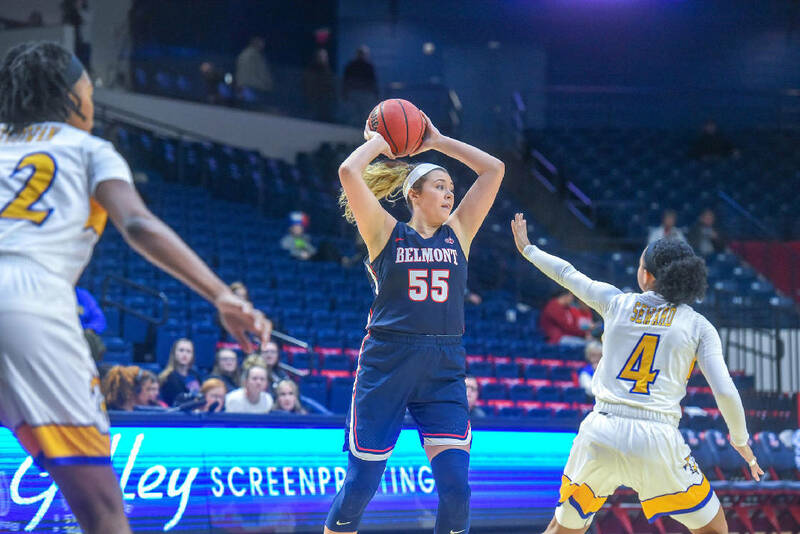 Just don't expect him to view it as important as watching his daughter Maddie play for the Belmont Bruins on Friday afternoon in the opening round of the NCAA women's basketball tournament in Charlotte, North Carolina, against South Carolina. "No, sir," Wright answered when asked if spring practice was as important as watching Maddie. "Watching my daughter playing in the NCAA tournament is more important to me. That's what dads do. If I was digging a ditch I'd do the same thing, even if I had to quit my job. This football stuff will take care of itself." So the Mocs, who went out in helmets for two hours Tuesday afternoon, will be excused from practice on Friday, and if Belmont wins they'll also have Sunday off. And what if Belmont wins on Sunday as well? "We'll take off whatever day they'd play the next week," Coach Wright said. He also believes this philosophy helps humanize him with his football team. "They get to see me as a normal human being, someone who's got a family," Wright said. "We've got a kid on this team whose brother is getting married in a couple of weeks. He asked me what he should do, since we're scheduled to have a practice that day. I told him he was to go to the wedding. Family is always more important than a football practice." Maddie, a junior averaging 9.6 points per game for the 26-6 Bruins, is clearly appreciative of the support. "It means a lot," she said Tuesday. "Since he's taken the job, he's come to every game." Not that Rusty only shows up. He arrives for each game wearing his lucky red Belmont cap and lucky blue Belmont shirt, that combination having won each of the seven games it's been worn, though the UTC coach's day job forced him to miss the overtime loss at UT-Martin in late February. "That red cap is undefeated," Rusty said. Added Maddie: "We're both a little superstitious." Maddie's superstitions include her lucky sports bra and headband, as well as a prayer before every game. Kelley Wright, an outstanding volleyball player during her student years at UTC, shares neither her husband's nor her daughter's superstitions. "But I try to play along," she said. Of Rusty's lucky cap and shirt she said with a slight laugh, "I just hope they're clean. I don't know what the rules are for this round." She also noted, "Rusty's the more emotional one. I'm the more pragmatic one. It's not unusual for him to tear up. Maddie's really a daddy's girl." Perhaps, but because the Boyd Buchanan graduate is also a nursing student with a grade point average reminiscent of her mom's 3.5 GPA at UTC, Kelley proudly added, "Maddie's following in my footsteps." Nor does Maddie necessarily go along with Rusty's belief that she gets her tenacity from her mom and her calm from her father. "Maybe," she said. "But I'd ask you to go watch spring practice and tell me how calm he is. I actually think I get my calmness from my mom." 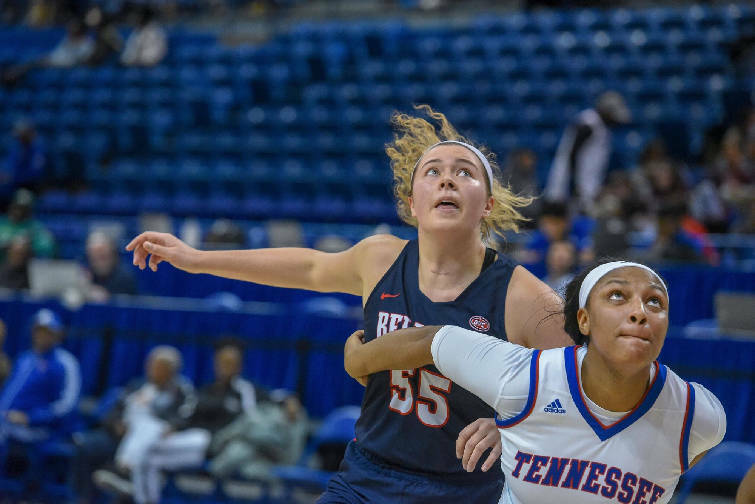 Whatever traits she gets from each of them, Belmont coach Bart Brooks believes Rusty and Kelley strike a perfect balance for their daughter. In a Tuesday email he wrote: "Maddie is very detail-oriented, very focused and very driven. I think some of that comes from the type of household she grew up in. Her parents Rusty and Kelly raised a very thoughtful and determined young woman who has really come into her own this season from a basketball standpoint. Maddie has been a tremendous contributor for us this season and is a big part of why we're playing in our fourth straight NCAA tournament this week." A couple of weeks ago, when ranked Wofford visited McKenzie Arena for a men's game against UTC, Wright told his players if they showed up to cheer the Mocs basketball team, he'd excuse them from running wind sprints the next day during winter workouts. Asked Tuesday if he might make a similar deal with his team if they'd agree to gather on Friday afternoon to cheer Maddie and the Bruins, Wright said, "I need to think about that. But it wouldn't hurt them, that's for sure." After all, at some point this UTC football stuff will take care of itself.